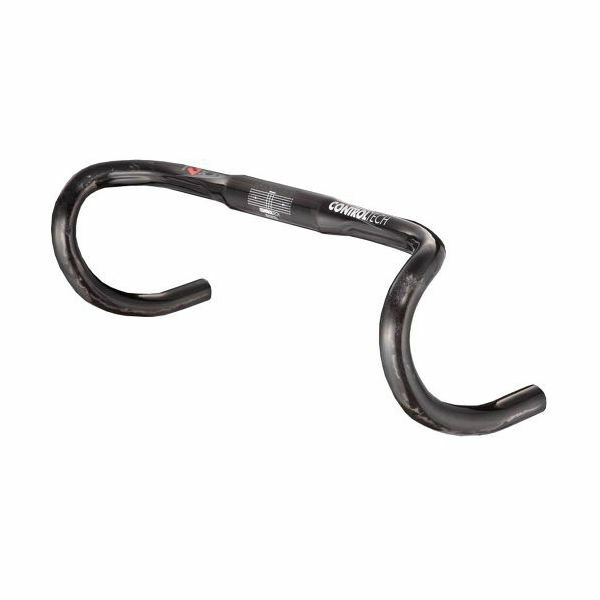 Incredibly lightweight and strong carbon handlebars. Unidirectional carbon fiber slashes weight and adds strength; comes in three width sizes. Unidirectional carbon fiber is the ideal material to mould your perfect handlebars. UD carbon has a high strength-to-weight ratio, so you’ll maximize the effects of your energy whether ascending or powering on the flat. The 140mm drop and 78mm reach put you in a position that is aerodynamic, comfortable and sustainable. Half Moon Shape (HMS) bars is a multi-contact drop based on a round shape that’s open at the end, delivering an array of hand positions to maximise your riding. The Tux road bars come in three widths – 400, 420 and 440m – to suit your individual style of riding. Features routing groove for easy cable management. Super lightweight at just 186g.